In 1971 a majority of Sierra Club members responded to a national membership survey that they were opposed to the club concerning itself with the environmental issues of the urban poor and minorities. Fast forward to 2015 and the Sierra Club has elected its first African American president who for over three decades has been of the front line fighting for environmental justice in the same poor and minority communities whose issues the organization once chose not to consider. 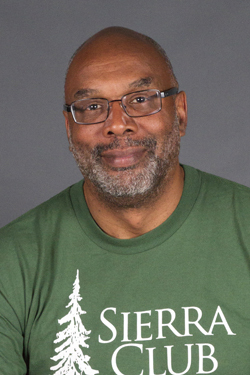 On May 16, Aaron Mair became the 57th President of the 123-year old Sierra Club. Many studies highlight a long-standing contention between the mainstream environmental movement and what is now known as the Environmental Justice Movement. In the early years, the mainstream environmental community appeared reluctant to address issues of equity and social justice within the context of environment protection. Minority community activists complained of obstacles when trying to present their concerns about toxic pollutants in their neighborhoods to traditional environmental groups. Their concerns were considered community health issues rather than environmental concerns. Despite increasing racial diversity in the United States, the racial composition in environmental organizations and agencies has not broken the 12% to 16% “green ceiling” that has been in place for decades. Confidential interviews with environmental professionals and survey data highlight alienation and “unconscious bias” as factors hampering recruitment and retention of talented people of color. Efforts to attract and retain talented people of color have been lackluster across the environmental movement. Aaron Mair is an epidemiological-spatial analyst with the New York State Department of Health. Mair joined the Sierra Club in 1999 after leading a decade-long battle to shut down a polluting solid waste incinerator in an inner-city community in Albany, New York. The Schenectady, New York resident has held more than three dozen leadership positions within the Sierra Club’s Hudson Mohawk Group and Atlantic Chapter, including chapter chair (2002-2003), chapter executive committee (2002-2004) and environmental justice chair (2009-present). He was elected to the national Sierra Club’s Board of Directors in 2014.